It was windy as hell last night. Gusts over 50km an hour and a little bit of rain. My tent held out fine. Given the sleepless night the previous night I was knackered and slept well right through to sun up at around 6am. On the road by 7. Matt had already left and the others were just getting the day started. 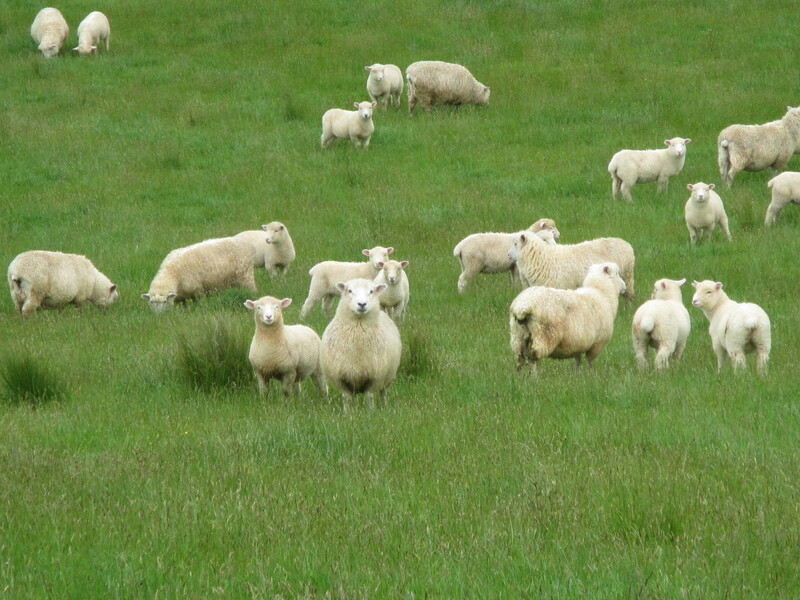 A nice easy day today through rolling pastures. 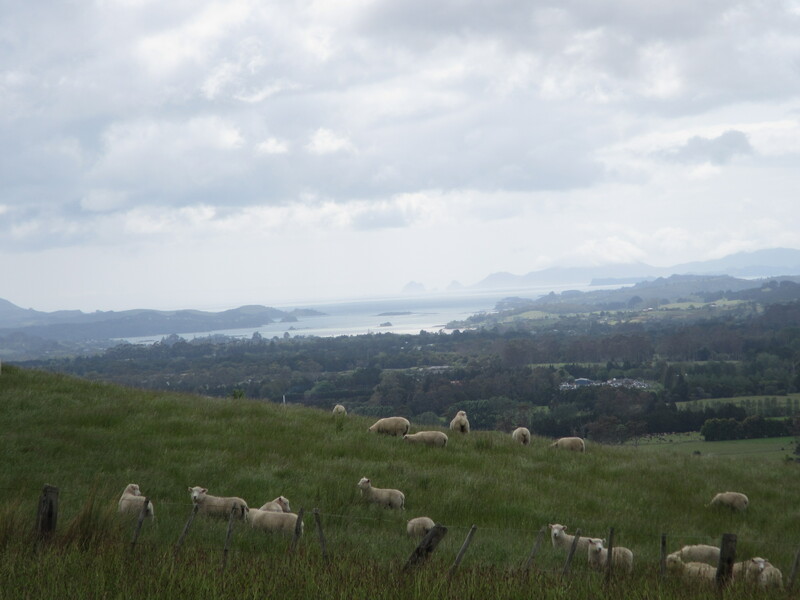 The Te Araroa is still relativly new and there is a bunch of road walking that needs to be done, connecting the different bits and pieces of other trail. The TA Trust is slowly working at removing long stretches of road walking by working with private land owners to route the trail over their lands. This mornings walk was on one of the first sections across private farm land, crossing through well stocked, green paddocks and crossing fences using foot stiles to ensure the fences stay in tack and to prevent trampers being bitten by electric fences. The merino sheep must have lambed recently as all the young ones were with mums who were quite protective and steering them away as I walked through. I thanked them for their contribution to my walk in the form of socks, boxers and t-shirts. Approaching communication towers on Maungaparenua I spied the first glimpse of the east coast. By the end of the day I will have clicked up over 200km on the trail and officially crossed from coast to coast from west to east. While I was resting and taking some photos, Matt arrived. I thought he left before me? He did but inadvertently took a wrong turn somewhere along the way. 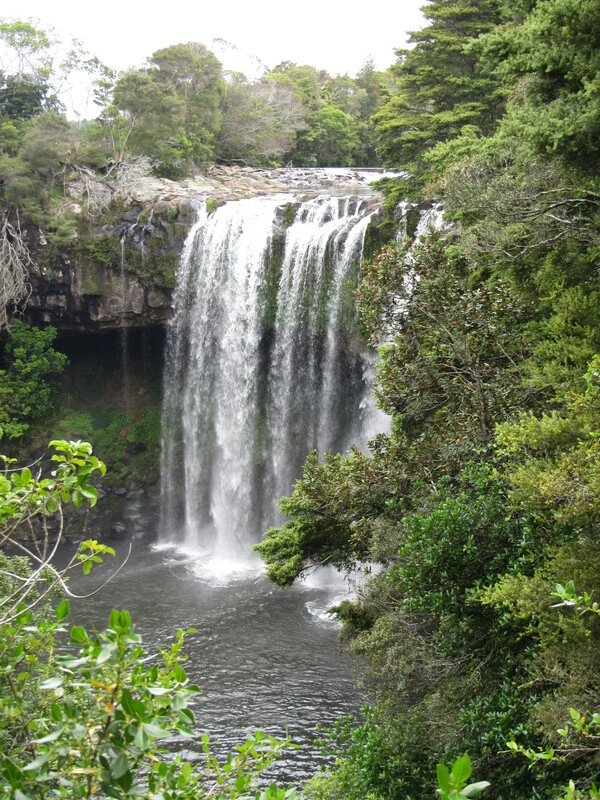 After the paddocks it was an easy walk along the Maungaparerua Stream and along the Kerikeri river, passing Rainbow falls and nice shaded rainforest areas. 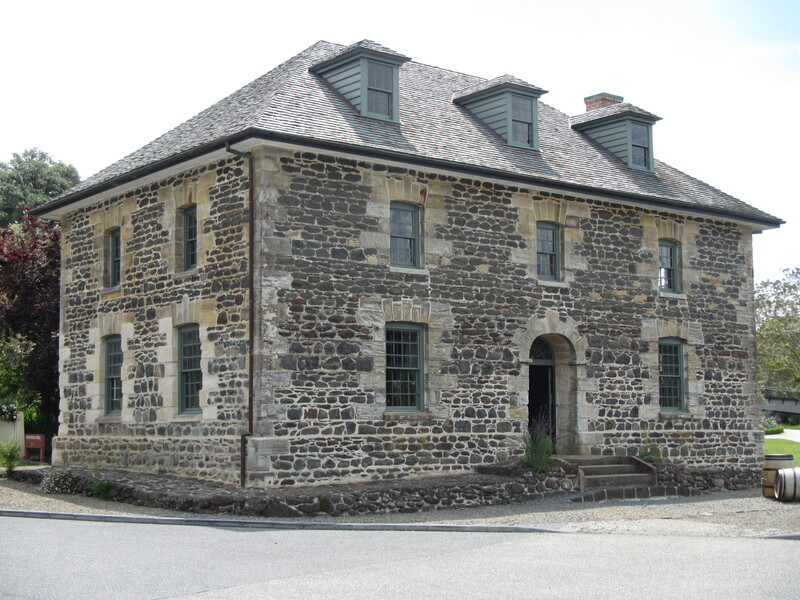 I finished the day at Kemp House, one of New Zealands oldest houses (1821) and the Stone Store in Kerikeri. Talk about timing. There is a food and wine street party in Kerikeri tonight. Great food, great wine and awesome live music. Watched a group called Strangley Arousing, a young kiwi outfit playing my favourite type of skar, reggae and latin with a horn section. Great drums! RIP Richie.Captaincy is 90 per cent luck and 10 per cent skill. But don’t try it without that 10 per cent. 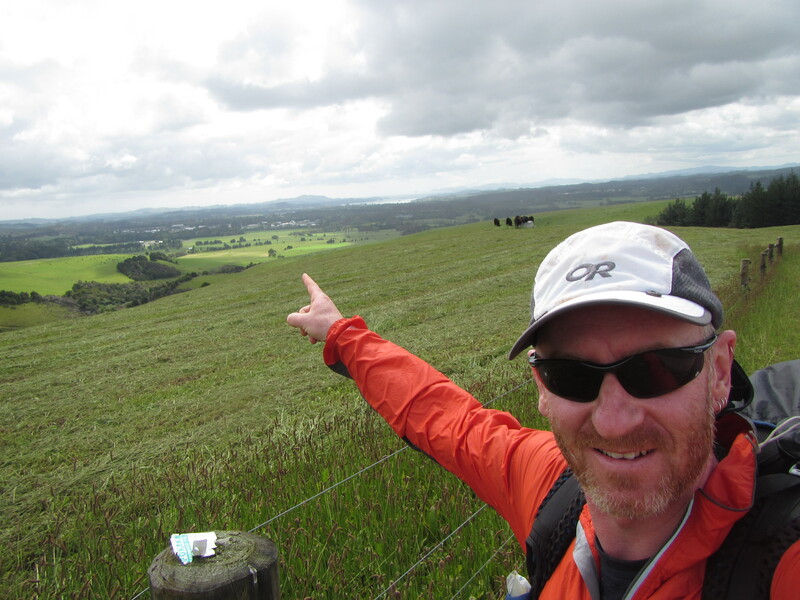 Armchair cruising your grand adventure, great blog Mick. Amazing variety of terrain and weather so far, some challenging solid days to break yourself back in – impressive! Caught up with Jacinta at an MTB event today, pretty excited about her pending NZ trip.